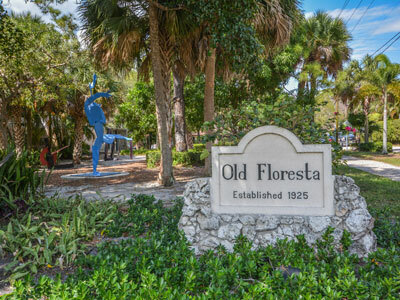 Old Floresta is one of Boca’s first upscale communities. 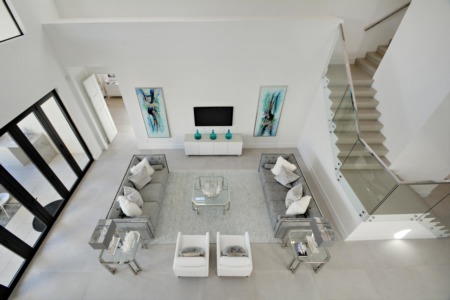 Established by the Architect of Boca, Addison Mizner, in 1926, this quaint neighborhood was developed as a community for Executives associated with his development company, specifically those involved in developing what is now The Boca Raton Resort. Driving through Old Floresta feels as though you’ve been teleported to a different time and place. Imagine: narrow tree-lined streets, with rustic stucco homes in a rainbow of Mediterranean colors, topped with clay tile barrel roofs and adorned with wrought iron and pecky cypress. Many of the homes are original Mizner masterpieces, as Old Floresta was named a Historic District; newer homes and renovations are encouraged to keep with the same style. Living in Old Floresta is nearly as charming as the neighborhood itself. Located equidistant between Mizner Park, Downtown Boca, and Town Center Mall, residents have literally hundreds of shopping, dining, and entertainment options. Old Floresta is also just a short drive to the beach, schools, and many places of worship. Less than one mile to I-95, access to Fort Lauderdale, Delray, and surrounding areas, Old Floresta could not be more convenient to live in. Homes in Old Floresta typically range from $1,000,000 to $3,000,000, and often are between 3,000 and 5,000 square feet. It’s somewhat typical here to find traditional floor plans, with antique mouldings, floorings, and trims, that have been modernized for today. Interior updates including modernized kitchens and baths, sound systems, impact windows, and upgraded patios are also common. Living in Old Floresta truly has a charming feel, a master planned community by an Architectural genius, all without feeling cookie cutter. 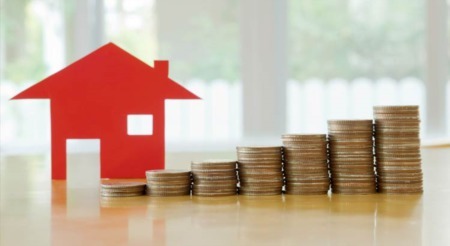 And, if you haven't already, be sure to register for a free account so that you can receive email alerts whenever new Old Floresta listings come on the market.